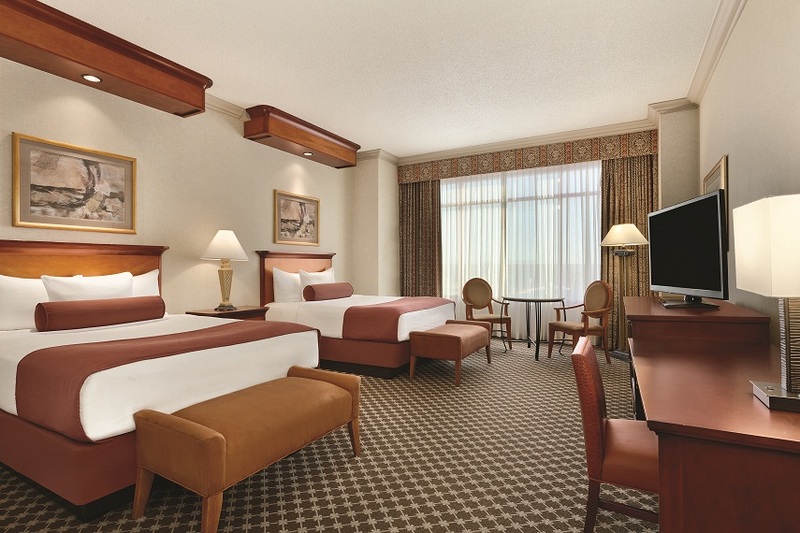 Harrah’s Joliet Casino and Hotel is the host hotel for the Route 66 Miles of Possibility Conference. Staying at the host hotel puts you right in the heart of the action, steps away from the Joliet Area Historical Museum (where the sessions occur), The Forge (where Thursday’s concert occurs) and the Rialto Square Theatre (where Friday’s concert occurs). You’re also steps away from great dining – especially the great restaurants inside Harrah’s Joliet. See descriptions for these (and other local restaurants) on our Local Dining page. Click here to book directly with Harrah’s. Please note all call in reservations are subject to a $10 processing fee.